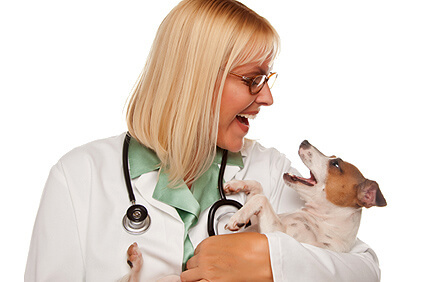 Ever wonder why ear infections and skin allergies are the most common reasons pets are taken in to the veterinarian? Vets see the evidence every day. Companion animals who are overweight. 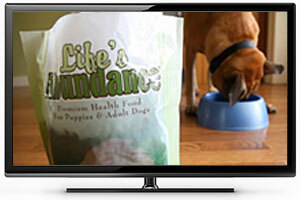 It’s obvious that, not only are they being fed too much pet food, they’re also eating our food, too. While some might think, ‘What’s the harm in a table scrap here and there?’, there are foods and ingredients that could damage your companion animal’s health, both in the short-term and over the course of a lifetime. In this episode of Pet Talk, Dr. Sarah reveals five foods that are fine for human consumption but should never be given to a cat. And some of the foods may surprise you! If you’re the pet parent of a kitty, you will not want to miss this special episode of Pet Talk. A few months ago, a producer and film crew from 'The Profiles Series' visited our offices to conduct in-depth interviews with the Life’s Abundance staff. In addition to interviews with company principals, the crew spoke with customers about their experiences using our products and an expert in the pet-health industry provided his take on our extensive pet product line. And now, the documentary is scheduled to air … this Friday! That’s right, on May 24th, Life’s Abundance will be featured on 'The Profiles Series' hosted by Larry King, an iconic and beloved talk show host. We could not be more thrilled that our company was chosen to appear in the upcoming episode of this show, and that someone of King’s caliber will be the one to introduce our products to a sizeable national audience. There’s no doubt that many of these viewers will be learning about Life’s Abundance for the first time. If you’ve never seen this new show, it’s an educational TV series that shares information about the world, revealing significant issues impacting lives and how to best prepare for the future. Each 30-minute program features modern innovations and business-engineered solutions, and is dedicated to uncovering stories that showcase the 'best and brightest' in various industries. The theme of this half-hour episode is ‘Made in America’ and it will be broadcast on the Discovery Channel on May 24th at 7:00 a.m. EDT and PDT. Our five-minute segment will specifically address how we achieve our level of product safety. Also discussed are the 2007 pet food recall and the current recall-culture, where we continue to hear about one tainted product announcement after another. This short documentary uncovers the steps we take to ensure consumer confidence, especially for pet parents seeking to provide the best for their companion animals. Be sure to check your local listings to confirm the correct day and time in your location (Mon-Fri 7-9 am and Sat 9-2 pm EDT & PDT). We encourage you to watch this televised event live and post your comments here on the company blog, to let us know what you think about our moment in the spotlight.